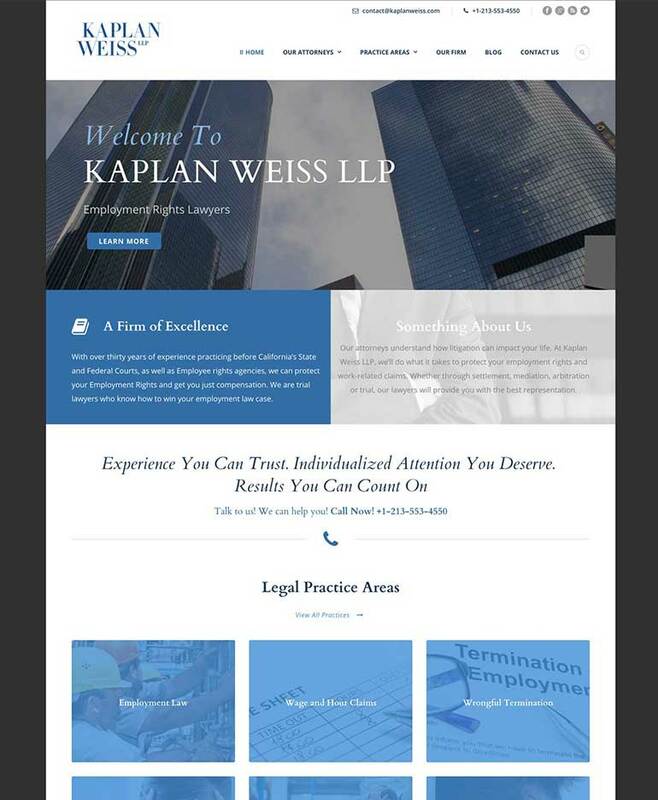 The Employment Rights Lawyers at Kaplan Weiss LLP are dedicated to protecting rights of employees and ready to help you with your workplace claim. With over thirty years of experience practicing before California’s State and Federal Courts, as well as Employee rights agencies, they can protect your Employment Rights and get you just compensation. CodeMedia 360 assessed the client’s needs, chose a template and coded the WordPress site to fit those needs of the client.